You can never go wrong with our Wright Table Base! The simple design is inspired by clean, minimalist, mid-century construction. 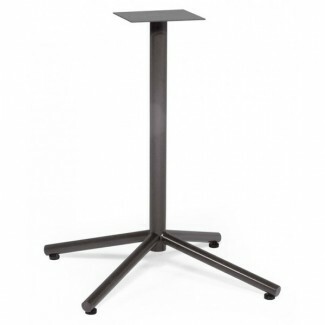 The Wright is a 4-Prong Pedestal Base that can fit up to 36" square tables. There are glides on each leg to protect the flooring. This base is available in our natural iron finish.